i Click 'view all' to instantly compare this good deal with offers on other top lap desks. 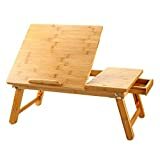 SONGMICS 100% Bamboo Adjustable Laptop Desk is currently selling at $33.99, approximately $0.25 lower than average, giving a potential saving of $1.00 right now. With a lowest price of $33.99 and an average of $34.24 it is selling on the low end of its usual range. Price volatility is 0.74% (meaning it does not change often), so the price should stay low for a while. Right now this product is a recommended 'good deal'. There is a coupon available for an additional 7% off. The current deal is also the best price on this item over the last month. 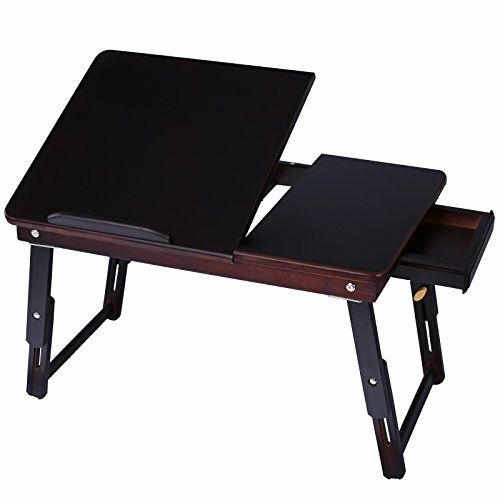 Compare the current price, savings (in dollars & percent) and Buy Ratings for the top Lap Desks that are closely related to SONGMICS 100% Bamboo Adjustable Laptop Desk. Here is how SONGMICS 100% Bamboo Adjustable Laptop Desk compares with other leading Lap Desks. 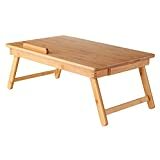 The SONGMICS bamboo lap desk is finely designed and crafted with a natural finish. It is durable and practical. You can use it as a laptop table, reading desk, breakfast tray and a working desk. It's convenient for using in bed, on the floor, sofa, recliner car and many other circumstances. 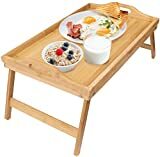 This desk is a great choice for those who like eating breakfast in bed.